This piazza features the organizing power of the Fibonacci spiral geometry. The intersection features trellis installations, a community information kiosk, cob benches, and rock gardens. Before the intersection repair, neighbors were complaining of noise, speeding, drugs and abandoned cars. 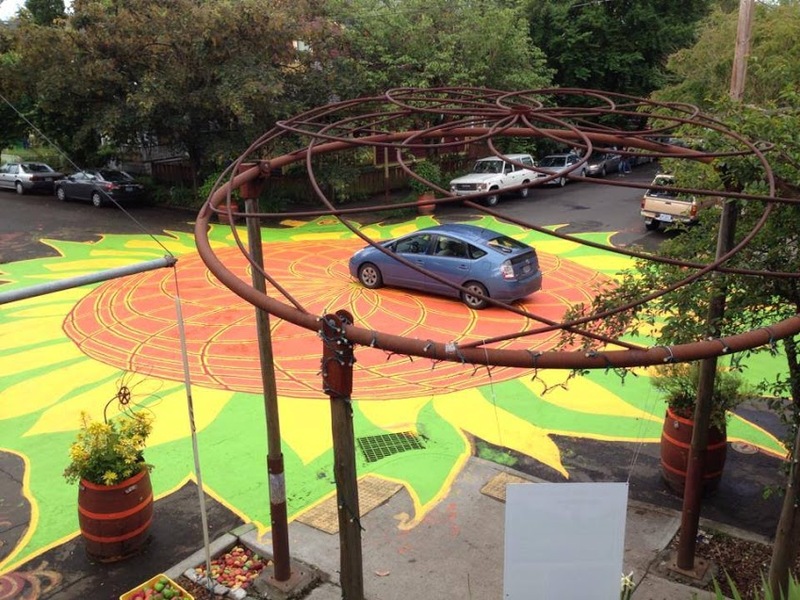 After meetings and workshops facilitated by City Repair, the community decided to paint a giant sunflower in the intersection. They received support from the city and neighbors. Over 700 interviews with residents suggest that the community experiences more happiness, health and safety because of the repair!